The Net Promoter Score is a standard metric across all verticals that acts as a strong signal for the quality of the products and services. Let’s deep dive into its role in measuring business success and its dynamics in the technology and broadcasting industries. Net Promoter Score (NPS) is a metric designed to predict customer purchase and referral behavior. It differentiates itself from other metrics by not measuring a customer’s satisfaction regarding a specific event or interaction. Instead, NPS is meant to measure your customer’s overall loyalty to your brand and companies can use the calculated score to indicate its potential for real, sustainable growth through customer retention and word-of-mouth referrals. 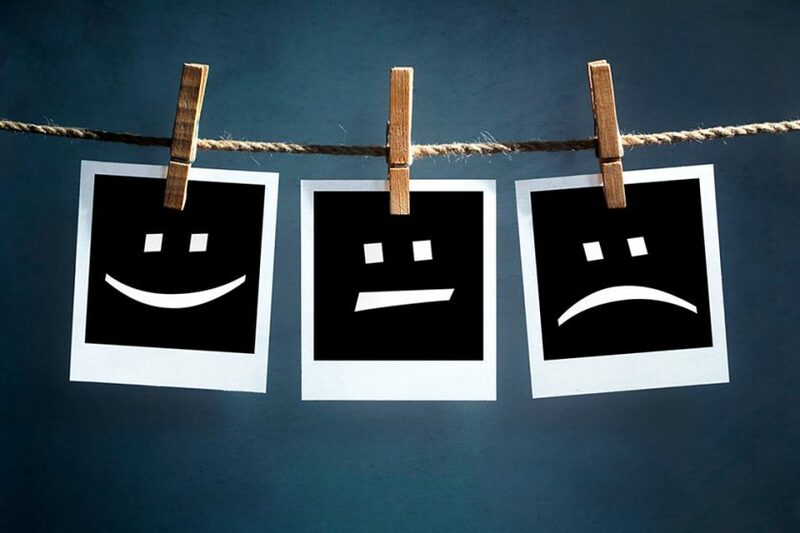 Detractors are customers who gave a score of 0 to 6, indicating a dissatisfaction with your company. Passives are customers who gave a score of either 7 or 8, indicating that they are not really eager to recommend your company to others. Promoters are customers who gave a score of 9 or 10, and they are likely to actively recommend your company to others. The average NPS for the tech vendors decreased by more than eight points from last year, down from 29.9 to 21.4. As a technology provider in the media and broadcasting space, everybody at Cleeng is proud that we reached an NPS average of 43.91 during 2017. 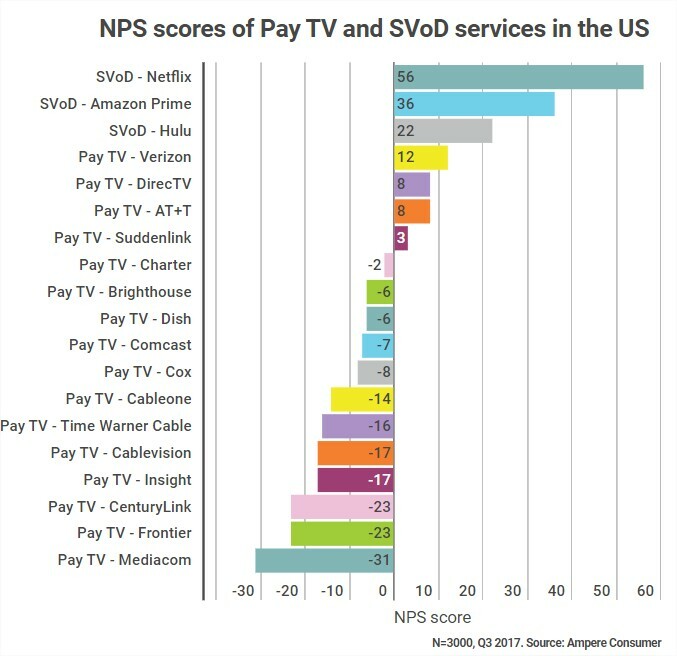 If we compare the vendor NPS with the score of the broadcast industry, we can see an interesting pattern. Despite the technical challenges that streaming services face by default, they seem to outscore the traditional pay-TV providers. To wrap it up… NPS is directly correlated to customers’ willingness to spend more with technology providers, try their new products and services, forgive them after a bad experience, and act as a reference for them with prospective clients. That’s why doing your utmost best in pleasing your customers in order to become brand advocates. Improving the NPS should be a priority for each company looking for success.